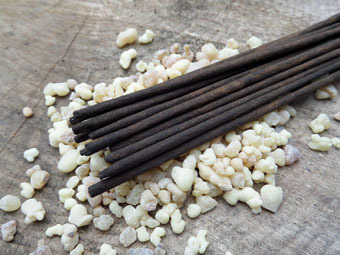 Our black frankincense incense is ethereal and sweet with hints of sea air and pepper. 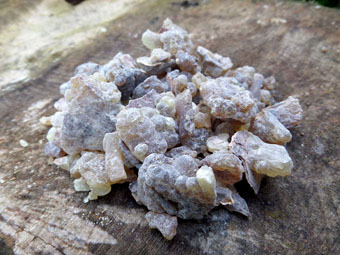 Made without oils and a scented base, it smells exactly like frankincense. 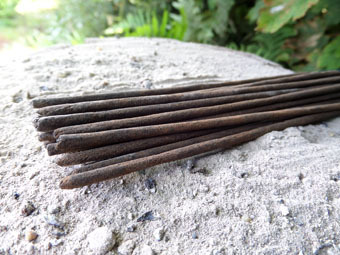 Something that any incense lover just has to experience - Extremely easy on the senses. 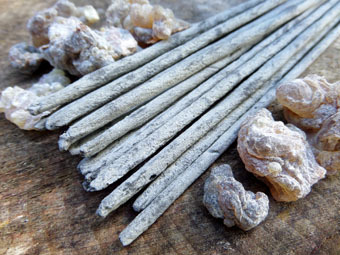 Scented only with pure black frankincense resin. 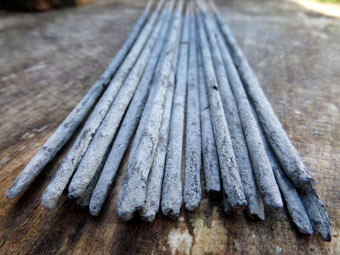 Size - 9" long sticks, each stick weighs a little over a gram. 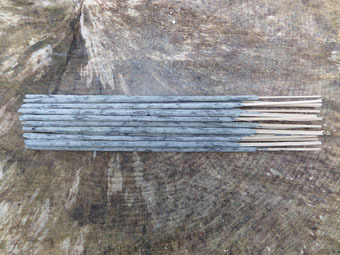 Burn time - An average stick burns for 40 minutes.